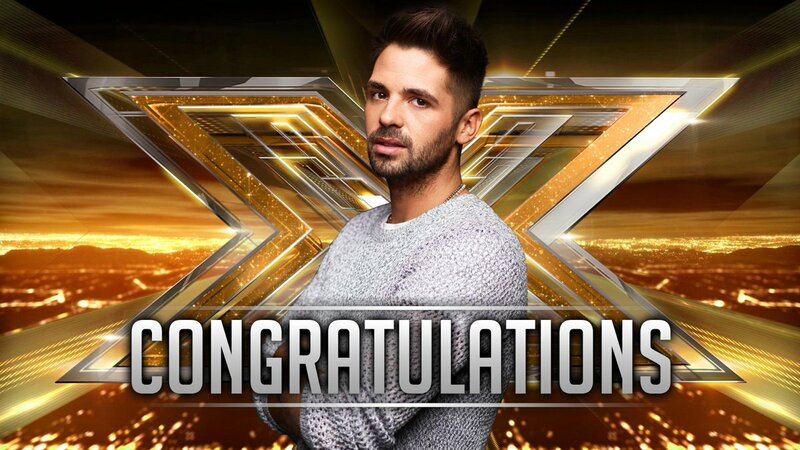 Ben Haenow has been crowned winner of this year's X Factor. Former Spice Girl Mel B returned to the X Factor tonight after the show confirmed she had been discharged from hospital. Ben Haenow's dreams came true for a second time tonight after his debut song Something I Need was declared the UK's official Christmas No.1. Winner of The X Factor 2014 Ben Haenow is on course for the Christmas No. 1 after increasing the gap over his nearest rival, Mark Ronson. 2014 winner of The X Factor Ben Haenow revealed how his time in the competition helped bring his parents closer together. Ben Haenow won the X Factor final this evening with 57% of the vote, X Factor said, and has been top of the public vote every week since overtaking Andrea Faustini in week four of the competition. Ladbrooks said his win would cost millions for bookmaking industry as he headed into tonight's final as the odd-on 8/13 favourite. X Factor 2014 winner Ben Haenow will now release his version of OneRepublic's Something I Need. He performed the song at the end of the 11th series of the show, and it will now be a strong contender for Christmas number one. X Factor winner Ben Haenow has spoken of his shock after winning the show's final despite coming in to the night as underdog. "I don't believe it. I don't believe it. Thank you so much," he said after the result was announced. Van driver Ben Haenow has won this year's X Factor after a shock victory over rival Fleur East. Mel B has returned to the X Factor for tonight's final, after she missed yesterday's programme through illness. The former Spice Girl was released from hospital after being given the OK by doctors today. Asked by host Dermot O'Leary if she was feeling better, she reponded: "Yes-ish." "I really missed being here but thanks to all the doctors and nurses who took care of me and got me here tonight," she said. She added that she was texting her act, Andrea Faustini, "all night", adding he "did such a good job" despite being voted off last night. Mel B will be returning to the show tonight. Former Spice Girl Mel B will return as a judge on tonight's X Factor final, the show has confirmed. In a statement, the show said it was "delighted to have her back on the panel". Watch the pair battle it out to be crowned this year's X Factor winner on ITV from 8pm.